This Sunday it’s the birthday of both Bruce Wayne and my better half, Tamsin. 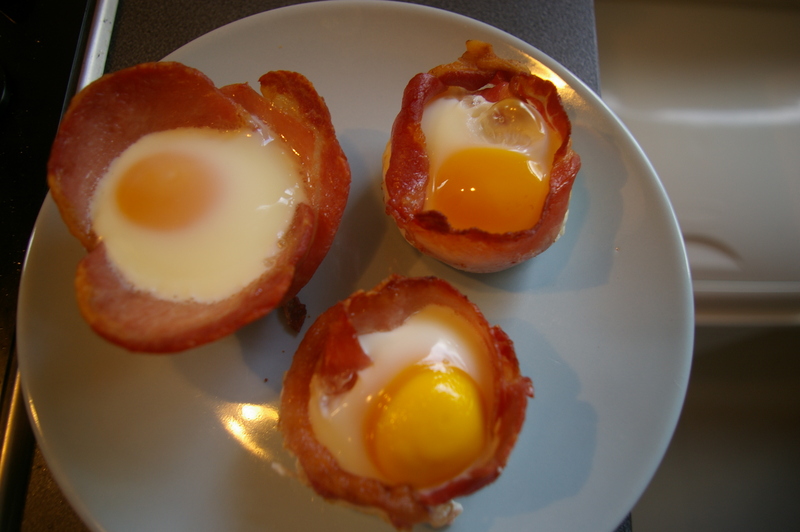 I figure Bruce will have a birthday breakfast sorted, so I thought I might look at having a special breakfast for Tam. So it’s French toast on order, and pancakes for Aimee etc.. 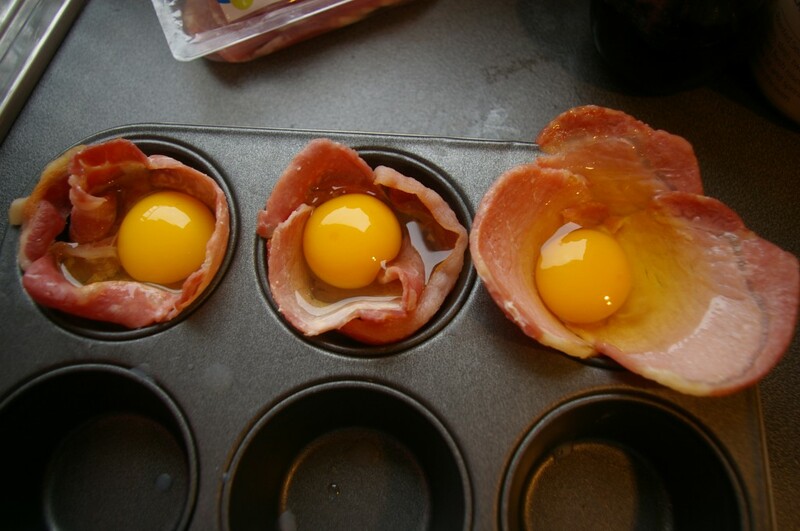 Recently I had tripped over this image of bacon and egg cupcakes. A bit of research revealed lots of recipes which seemed a bit overly convoluted, so I thought I’d try my own ahead of the big day. Eggs, since it’s a cosmetic recipe, I used organic eggs that tend to have great colour as well as flavour. I tried two different variations of bacon, which you can see below. First of all, just grill the bacon normally. I know you know what that looks like, but to get an idea of the size of the slices I used. The regular bacon I tried. (Apologies to American readers – good bacon can be hard to get there). I also tried this more lean version. If, like me, you only have a single oven, turn off the grill, and put the oven on at around 200 degrees centigrade (probably 180 for fan assisted ovens, and that’s around 400 Fahrenheit for any Americans). Give the grill element some time (only about 5-10 minutes) to cool down, so you will be baking the eggs later and not grilling them. 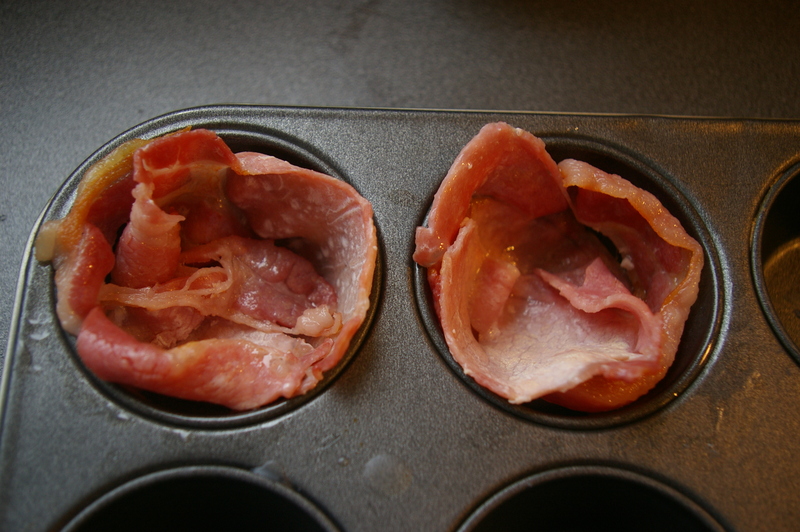 Now, you need to simply put the bacon into one of the cups in the tray. Don’t do what I did and use an edge, working from the centre probably makes a lot more sense. 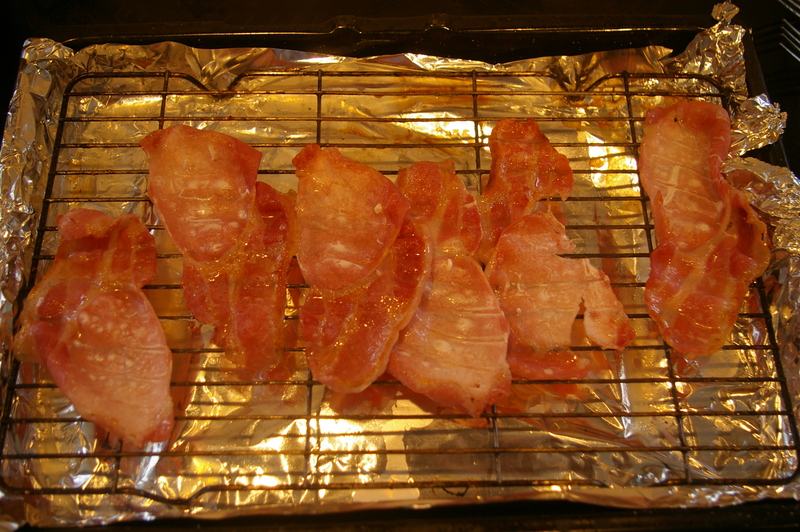 For the “normal” bacon I simply put the slice round the edge, and it covers almost everything. I actually took the most fatty bit off the second slice and placed it on over the hole. I didn’t bother to do anything special with the tray, and I didn’t use cupcake cases or bread as I’ve seen in some of the more complex procedures. You don’t have to worry about the odd small gap, but cover what you can. The regular bacon curls up well. Two or one and a half slices each. My second variation involved using three of the lean slices to make a flower petal kind of effect. The lean bacon is hard to seat in the tin. Now you simply have to carefully crack an egg into each cup, trying not to rupture the yolk. So now bake in the centre of the oven, for around 15-20 minutes. I found the second variation seemed to take more time to cook because the egg was further away from the metal most likely. 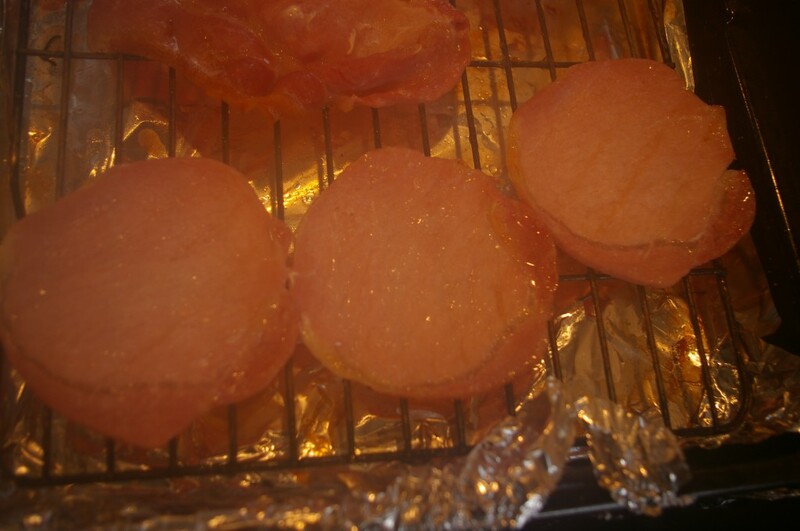 Then use a silicon spatula or similar to easy the edge of the bacon away from the case, lift out, and serve warm. 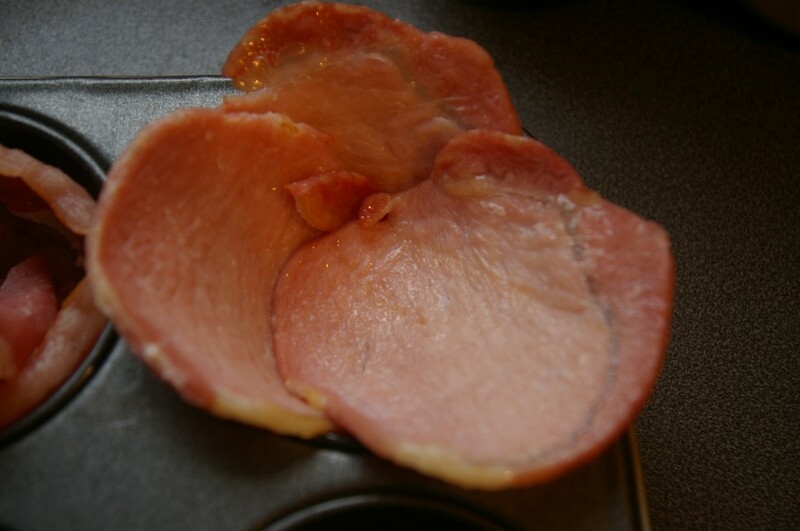 You can see one cut in half. Tam and I tried the results and we feel the original version (with the regular bacon) is the best, and I think it looks the best too. 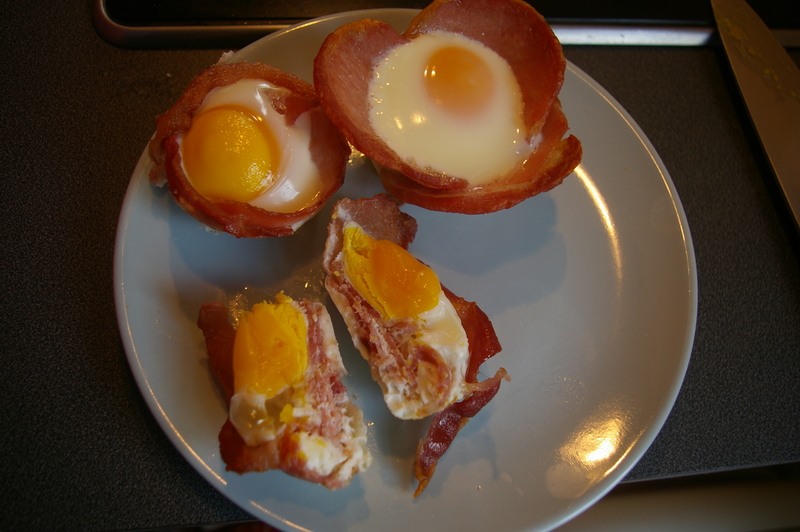 At just under 20 minutes I found the white totally set, but the yolk still had a good moist consistency. The saltiness of the bacon infuses the egg in a really pleasing way. I hope you enjoy trying it. I will be making them again on Sunday. The yolk is still a little soft.